Newcomer Family Obituaries - Charles Scott Edwards Jr. 1959 - 2019 - Newcomer Cremations, Funerals & Receptions. 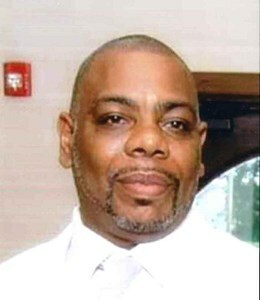 Charles Scott Edwards Jr, 59, of Akron, passed away on February 8, 2019. He was born on October 6, 1959 in Columbus, Ohio to Roberta Edwina (nee Turner) and Charles S. Edwards Sr.
Charles was fun to be around and had a great sense of humor. He had a strong mind, spirit and heart. He was an extremely hardworking man and because of his vast experience and talents was known as Mr. Handyman. He was adventurous and loved to ride his motorcycle. He was also a huge fan of the Cleveland Browns. Charles was a loving husband and brother, and a dedicated father and papa. He will be deeply missed by his wife, Gwen Edwards; children, Shunmekea (Konrad) Herring, Tamika (Anthony) Woolfolk, Danielle Gaiter, Kesha Goodson, Edwin (Cynthia) Goodson, Dewayne (Joy) Edwards, Miranda Goodson, Chris Goodson, Shawn Edwards, LeAnn Brown, Carlis Williams, Charlis Williams, and MekeaDanelle Brown; siblings, Ray (Jeanette) Turner, Katherine Edwards, Alicia (Jim) Brown, Georganna Hopson, Dallas Scott, Anita Clarida; grandchildren, Konrad Jr., Ka'Ron, and Kayla Herring; Reggie Pickett Jr., Antwone and Jordynn Woolfolk; Sha'Kira Funches, Andreia Gaiter; Key'shawn and Qua'darius Goodson; Briajah'na and Ta'Vanne Goodson; Macenzi and Tytus Edwards; Antonio, Larry, and Jayme James; Kaniyaa and Chris Goodson Jr.; Sh'Niya and Ja'Niyla Edwards; Mariah and Ma'Lyek Brown, Serenity King; Char'Lisa Williams; Cameron Brown, and Deiquan Henry; special "brothers," Calvin Carpenter, and Howard Dukes; and a host of aunts, uncles, nieces, nephews, and cousins. Charles was preceded in death by his father, Charles S. Edwards Sr.; son, Charles Boyd III; and granddaughter, Shaun'Teria Funches. Calling hours will take place on Saturday February 16, 2019 from 12pm until 1pm at Mt. Olive Baptist Church 1180 Slosson Street, Akron, OH 44320. Immediately following calling hours, the memorial service will take place at 1pm officiated by Pastor William C. Bunton. The Edwards family would like to thank everyone for all of their donations, and love and support throughout this difficult time. All donations will be received at Mt. Olive Baptist Church 1180 Slosson Street, Akron, OH 44320 starting at 10am the day of the service. Add your memories to the guest book of Charles Edwards Jr..
RIP my friend. Glad I got to talk too you. GOD had other plans for you.Thanks for all you have ever done for me. Watch over Charlette. GOD bless. Charles I love you man, you have a beautiful family to cherish your memory and I will make sure your route on North Hill cherishes your memory. R.I.P. my brother. I’m so sorry for your loss. You and your family our in our thoughts and prayers. Rest easy cousin. No more struggle. No more pain. Sending my thoughts and prayers to Georganna, and family. May the peace of God which passes all understanding rest upon you all.